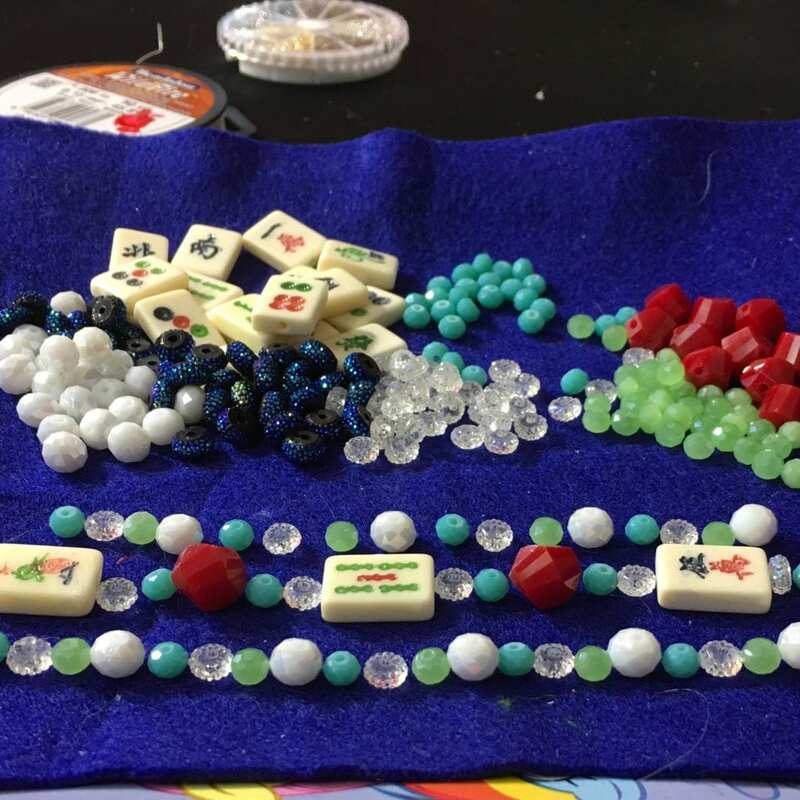 Today I am going to show you how to make a dazzling gift with Where The Winds Blow bone tile beads. 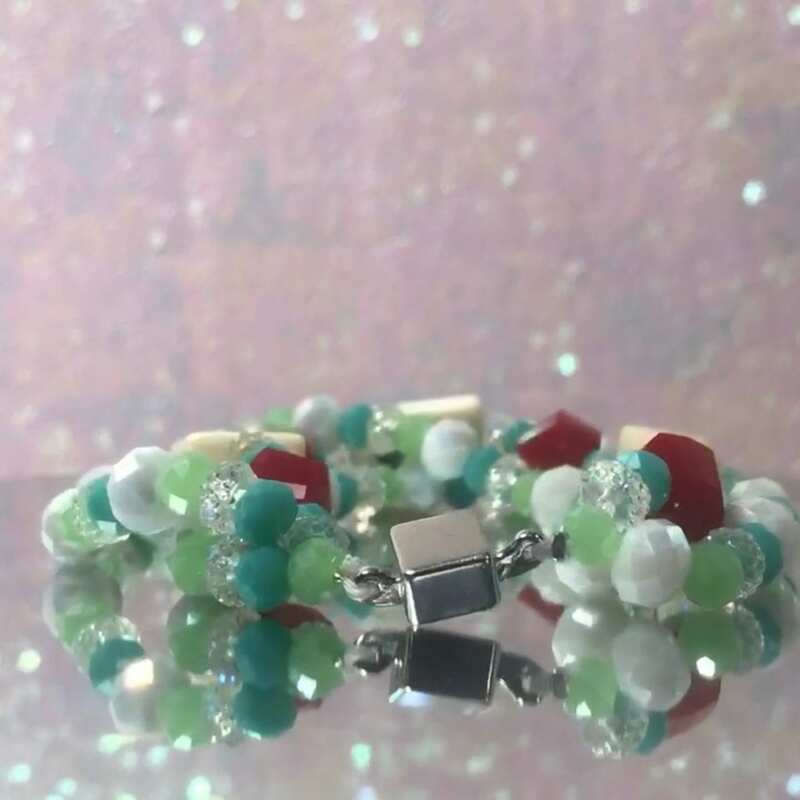 I have been creating beaded delights, crocheting comfort and joy, and fully immersing myself in expanding my artistic range for about 18 years. 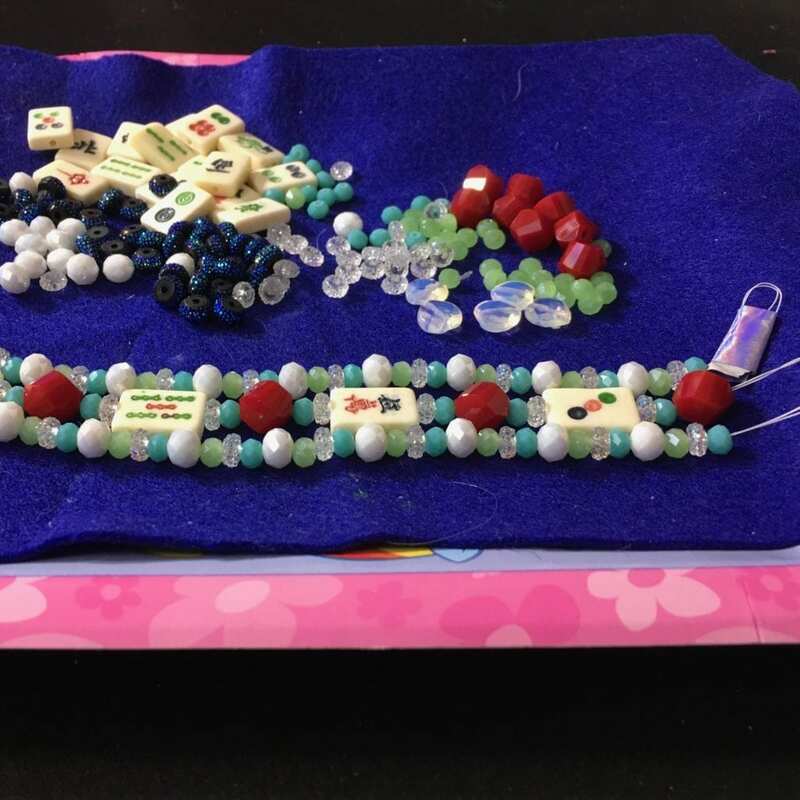 I hope my easy-bead recipe for fabulous helps bring a little extra happy into your heart today! 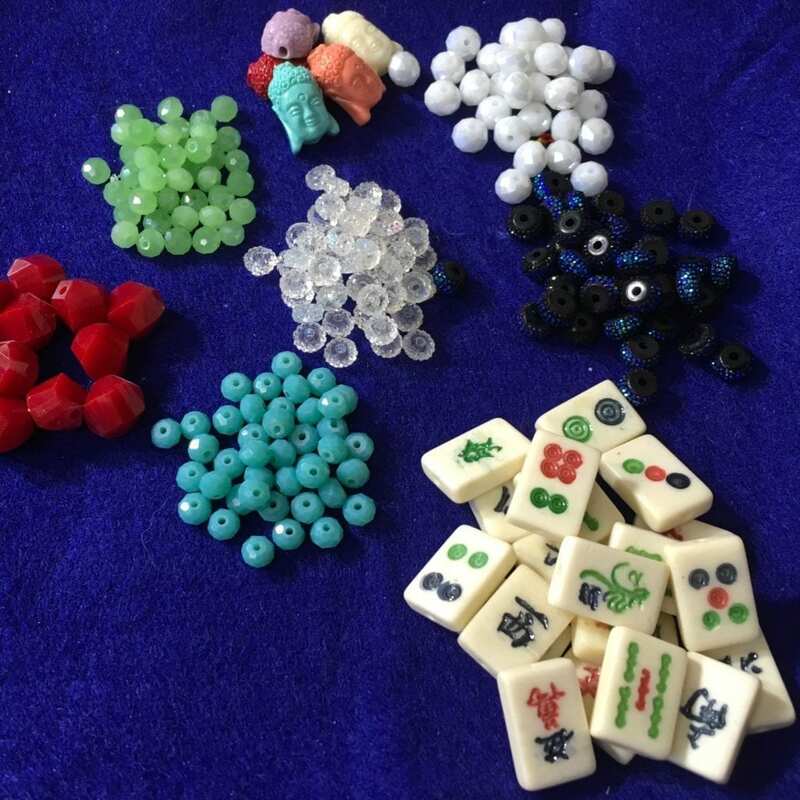 You’ve assembeled your ingredients and now it’s time to lay out your beads. If you don’t have a bead board never fret! 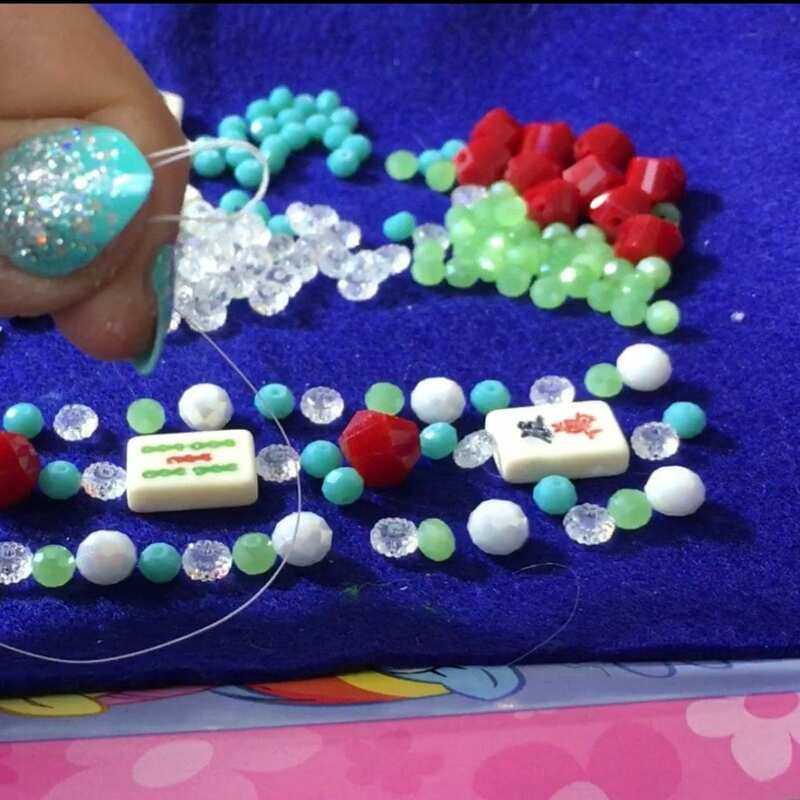 They can be expensive and if you are not interested in taking up beading as a hobby you might not want to spend the $7 – $12. Pro Tip: A paper plate with a piece of craft felt laid over it does a beautiful job acting as a tray. 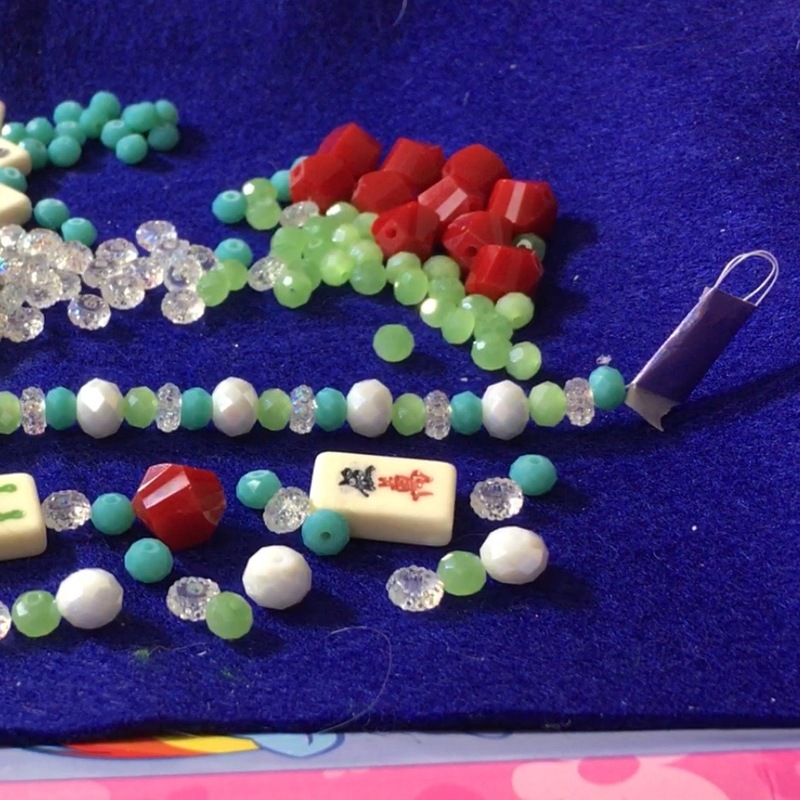 The felt will help your beads stay in place while you lay out the beads. Cut three strands of string 9” long. 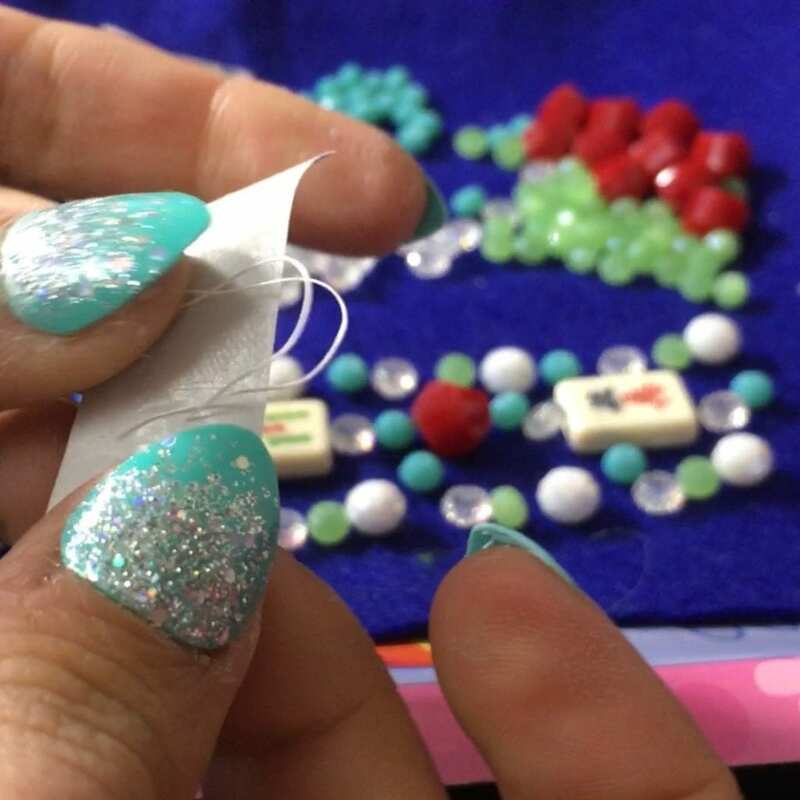 This will allow space for you to finish your bracelet cleanly. I like to use a double strand of thermally bonded bead weaving thread. 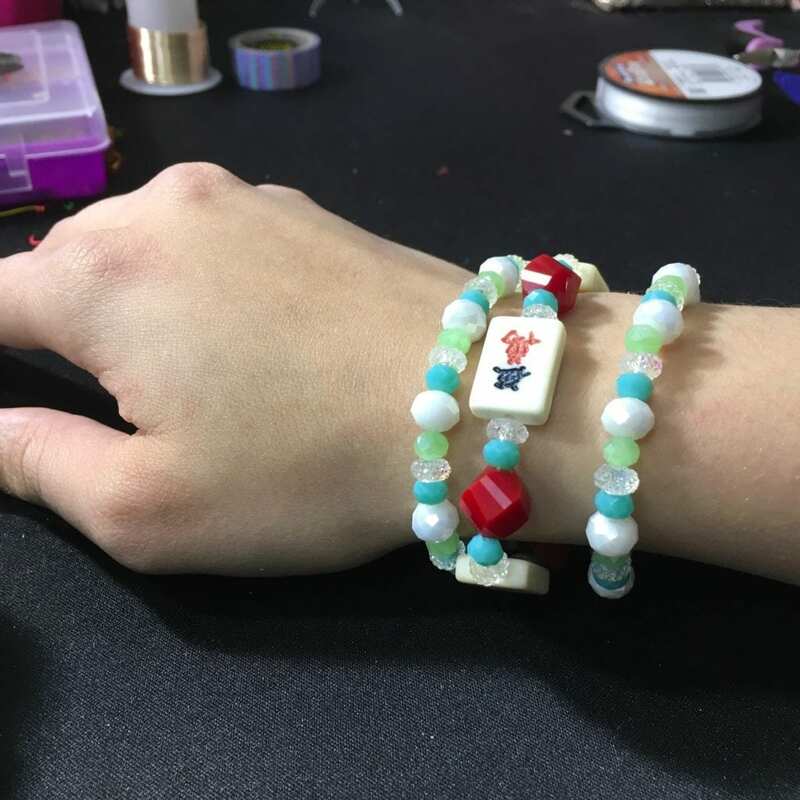 I have a tendency of being hard on my jewelry as I am pretty active. Through the years it has proven to be incredibly sturdy. Pro Tip: Loop the end of your string (Do Not Tie) and put some masking tape around it. 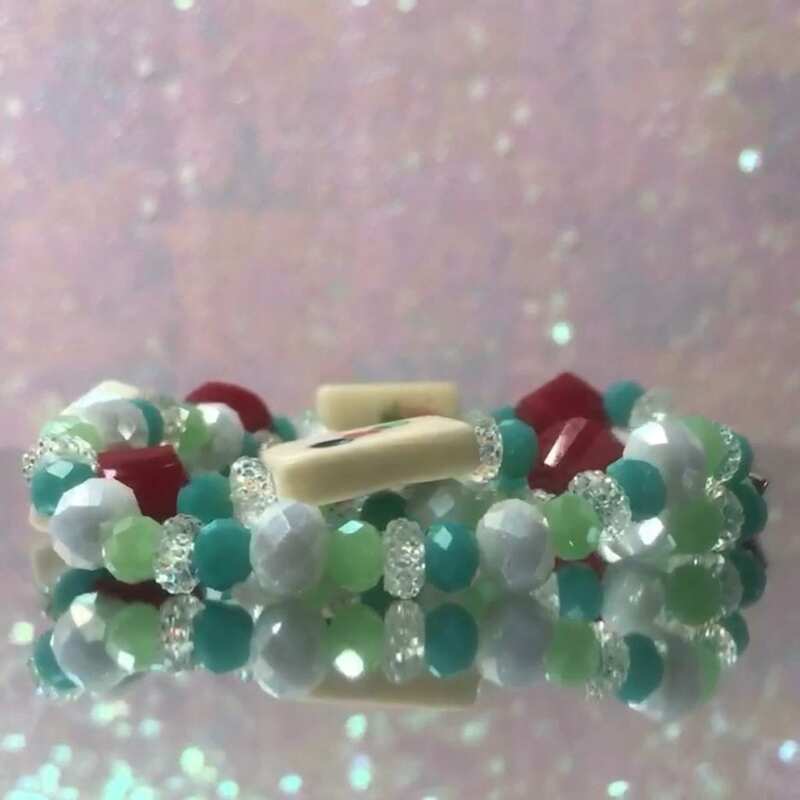 This way you avoid the frustration of accidentally dropping your beads. 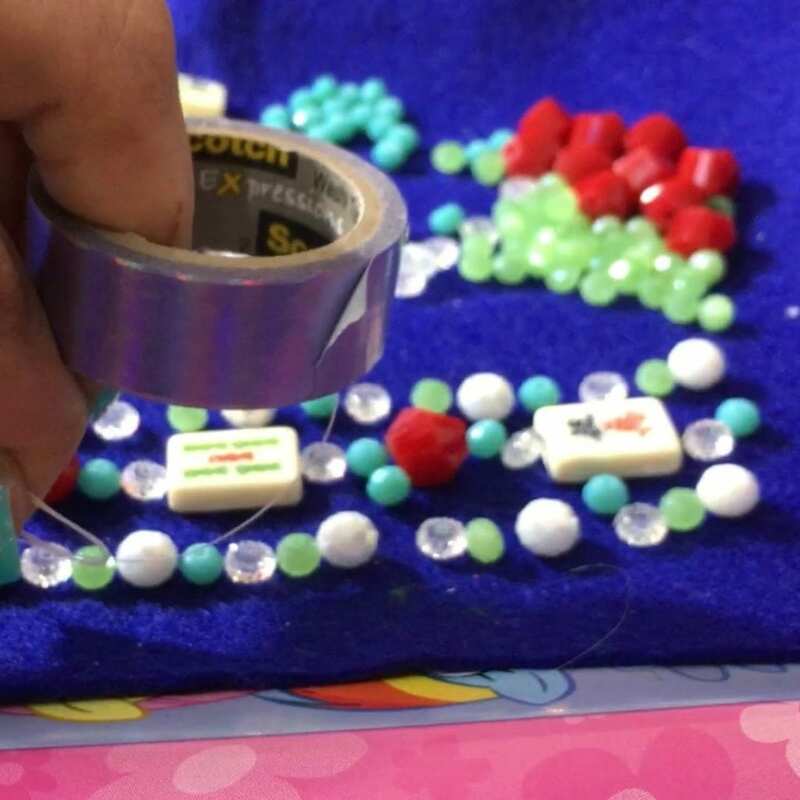 Once completing beading each strand, tape the other end so they can rest freely without attempting an elaborate escape. Now for the extra fun part! 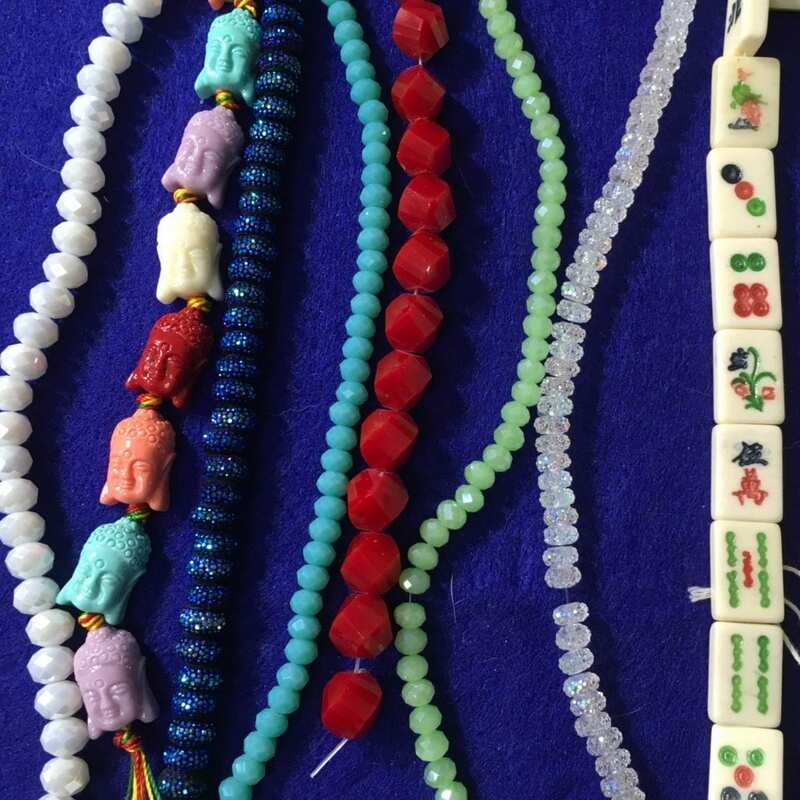 Bead each strand of your three strand bracelet. 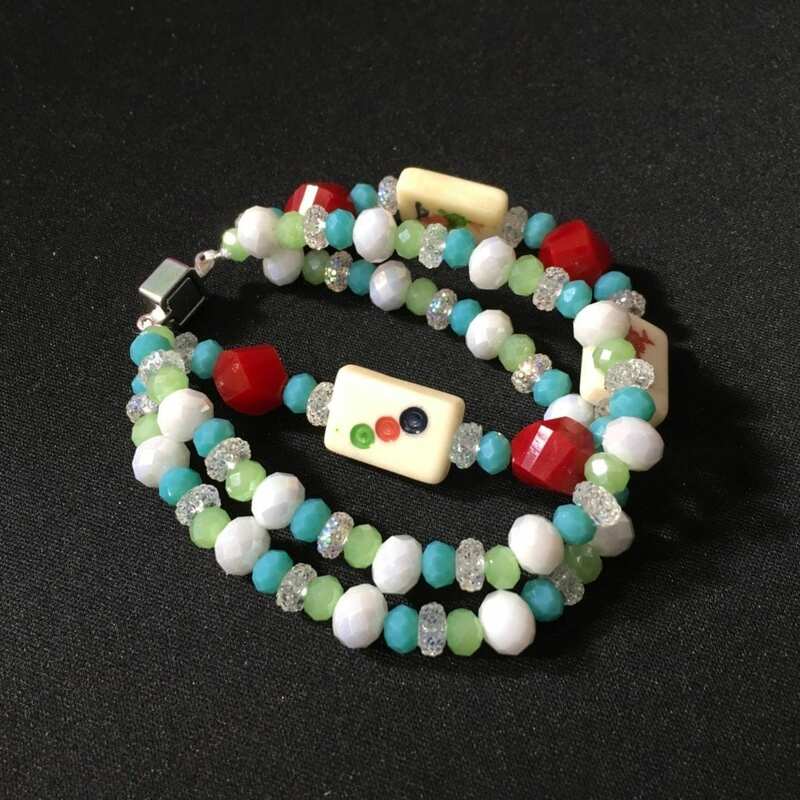 You now have three beaded strands of bracelet and perhaps a perplexed look on your face, don’t worry this is where it gets cool! Don’t cut the tail!! 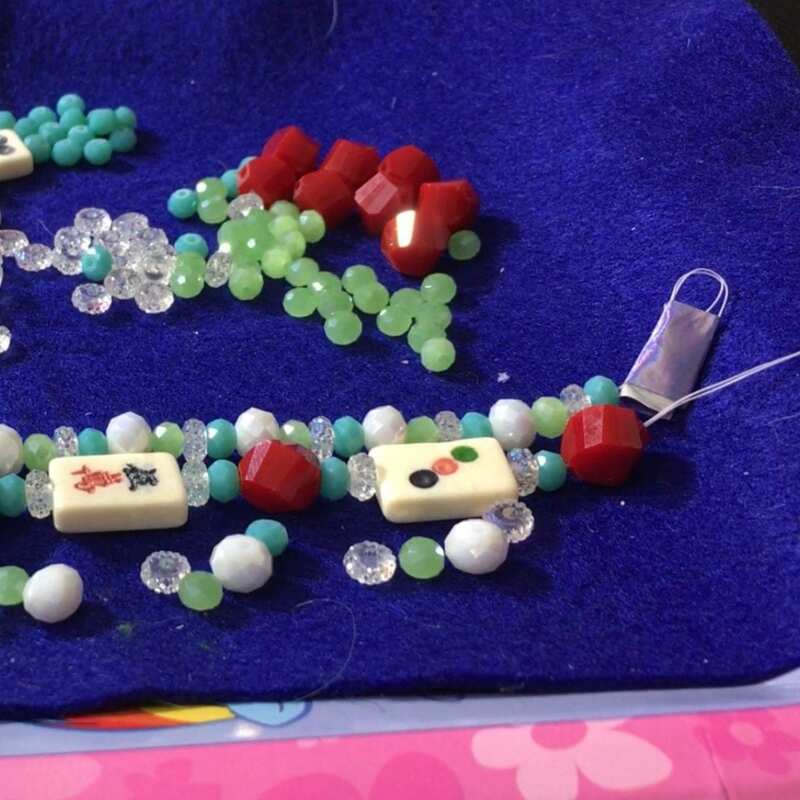 Thread the tails through their corresponding bracelet strands. Once more with vigor! 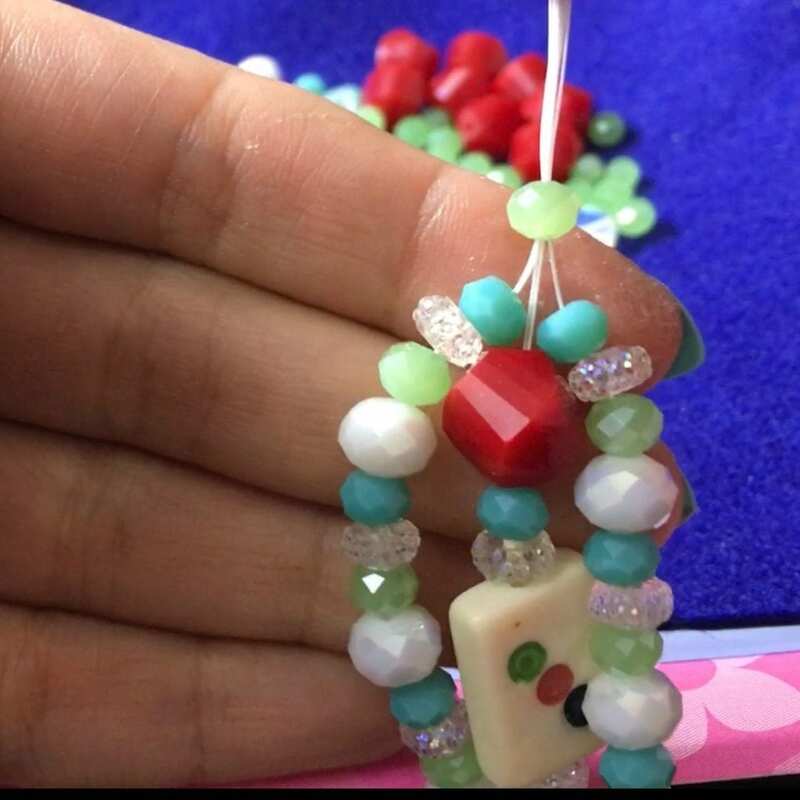 Finish up by pulling the tape off the opposite end of your three strand bracelet and boom, You’re done! 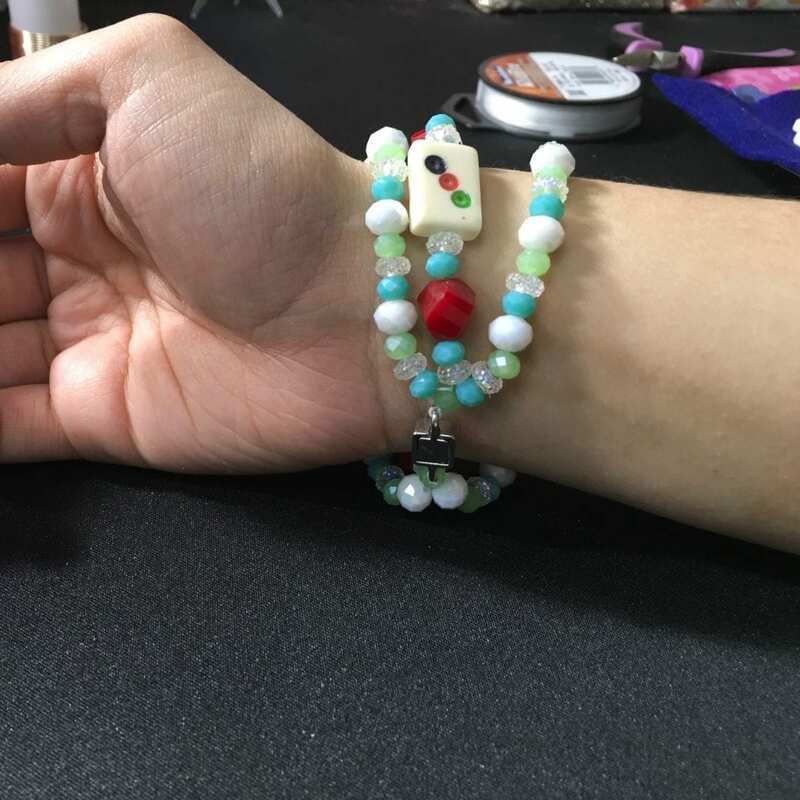 A beautiful, handmade bracelet by you! The black mat I am working on is actually a black rubber mat from where the winds blow. It’s a wonderful multi-tasking find. 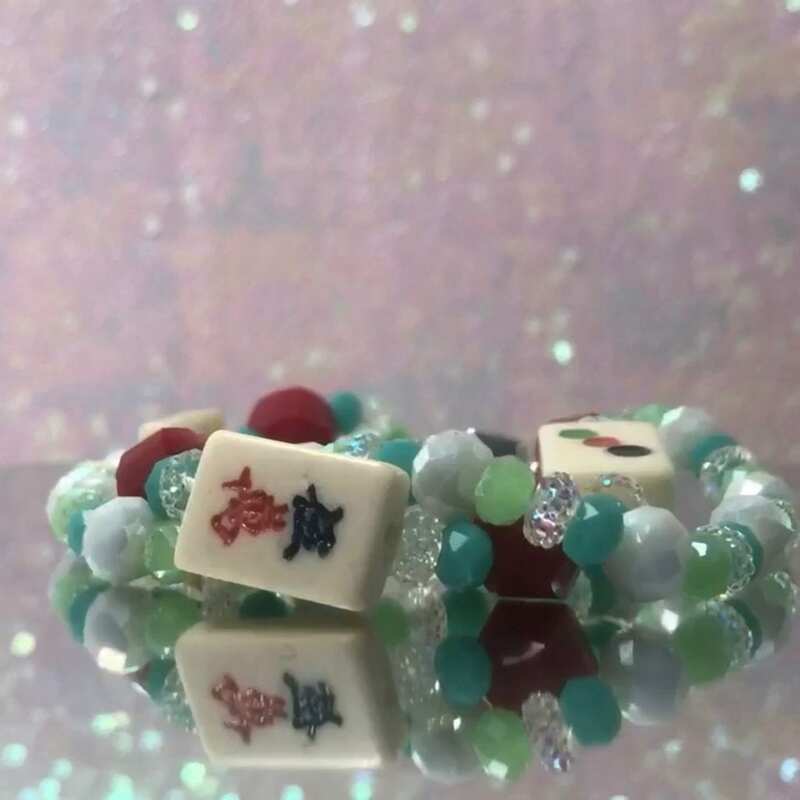 This entry was posted in Spotlight and tagged diy, Gifts for Her, Holiday Gifting, Mah Jongg Accessories, Mah Jongg Bracelet, Mah Jongg DIY, Mah Jongg Tile Bracelet.